Sabrina was never interested in traditional fitness methods and found it difficult to stay motivated to go to the gym even after the loss of 40 pounds. Her love for dance, music, and theater led her to find Pole Dancing & Fitness and inspired her to push her limits. Because Pole comes with the benefits of cardio, weight training, and group fitness combined with rhythm, flexibility and sensuality, she was able to maintain the weight loss, build muscle and enjoy the results. Sabrina has now competed in regional pole competitions, continues to train and can’t wait to pass on the pole fever to her students. 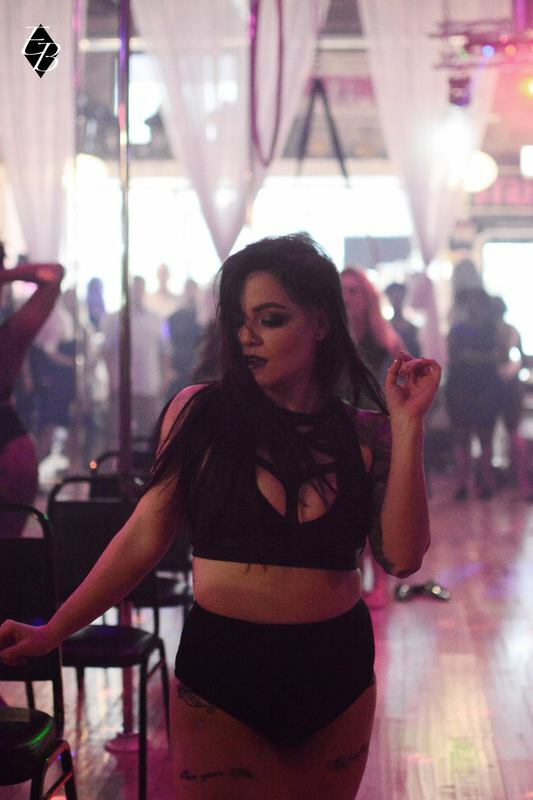 With her performance background, dancing style, and bold personality she is sure to boost your confidence, get your heart racing, and encourage you to be the rock star you’ve always dreamed! Congratulations to Sabrina Renee for placing first in her division at the Central Pole Championships.